We will assist in developing short and long term microinsurance strategies that fit into the organization’s overall goal. This will include how to access the market, suitable products and distribution channels and the overall marketing strategy informed by indepth research. We will help build your internal microinsurance capacity through training of your staff, business partners and distribution channels on the various aspects of microinsurance depending on where you are at. We offer training on general microinsurance knowledge, best practices, product development and business planning. 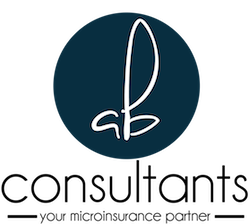 In partnership with our consulting Actuaries, we provide you with in-depth actuarial services ranging from pricing, reserving, stress testing, portfolio selection among others. We provide advice on the viability of your life, health and general range of products. We will work with your in-house product development, sales and marketing teams to develop microinsurance products that suit specific target markets, while ensuring compliance with the regulator.